About The Owner "RJ3" n Crew - Website of midwayplumbingservices! 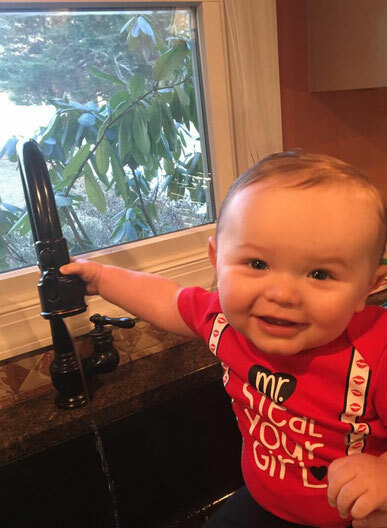 Rick Jones III, Owner/President of Midway Plumbing Services LLC, grew up in a family plumbing business, as his father was a licensed Maryland Master Plumber, with Rick being on the Job as young as the age of 5. As a apprentice Rick was often working with his father or his father employees as a “helper or gofer”, while maintaining a visual learning process and involving himself with a hands on approach. Learning the trade was a very interesting and important to him, having his own plumbing company one day was his dream, and he was willing to do what ever it takes to make that dream come true. In Rick’s school days he never had a Holiday Break or summer off, it was time to go to work with dad, missing out on playing with friends, summer camps, and just being a kid, Rick was working and dedicated to learning the plumbing trade. Growing up in Maryland’s “Midway” Anne Arundel County, going to all Broadneck schools Rick graduated in 2001, and immediately started working full time and started Plumbing trade school at the College of Southern Maryland at night. After 4 years Rick Graduated at the top of his class, then pursued getting his Journeyman’s license. 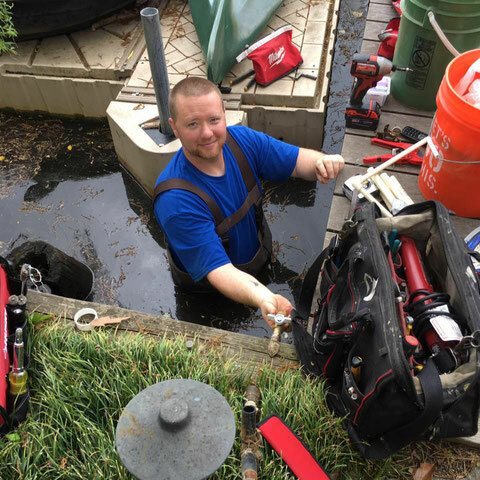 Not Long after, he successfully earned his Master Plumbing License, and was prepared to operate on his own fulfilling a life long ambition. Rick was raised with a strong work ethic and he now applies those values to his company. He has built his business based on honesty, reliability, and excellent customer service. Known to his customers as a confident, resourceful, and capable person he strives on providing conscientious service just like how he would like to be treated. Also known from turning impossible jobs into possible jobs, Rick never gives up on anything PERIOD, and expects nothing but the best. Rick's son Talon on the Job at 9 months !